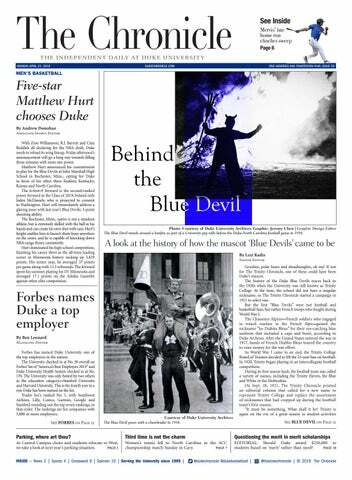 What do you wonder about Duke, its history, administration or culture? Help The Chronicle investigate stories that matter to you. Duke can sometimes be a mysterious and opaque place. At The Chronicle, we have always tried to uncover the truth about the Gothic Wonderland and in doing so, making it more transparent and accessible. Chronquiry is a project from The Chronicle that invites you to have a say in the stories we investigate. We want you—the reader—to be more involved in our reporting process. So, please submit a question below about anything Duke—its history, administration, students, courses or culture. We'll curate your questions into regular voting rounds so that you can vote on each other's ideas. We are so excited to turn your questions into stories you’ll love!